while i tend to love dressing like a grungy boy - i love being able to add a pop of girliness every now and then. 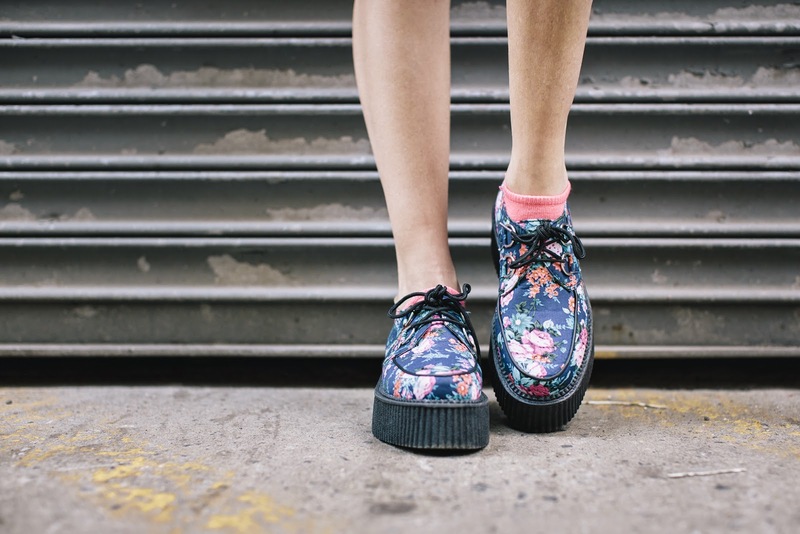 these days i love anything with a floral print, especially these creepers by tuk. they bring just the right amount of life into my black and white wardrobe.